These fabrics have been calling my name for a while now. But I'm really leaning towards this design. I'm just using up scraps! I really have finished up a couple projects. I want to do my project with all my scraps. Soon, I hope. I love all those patterns...whichever you choose I'm sure it will be fabulous! 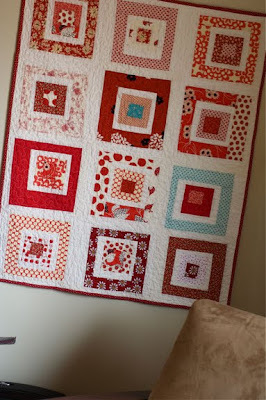 Love those beautiful scraps and all of the beautiful quilt ideas!!! Enjoy! I love those fabrics. Anything will be great. The fabrics selected will look wonderful with either of those designs. You might be able to do both if you use the scraps for one of them! 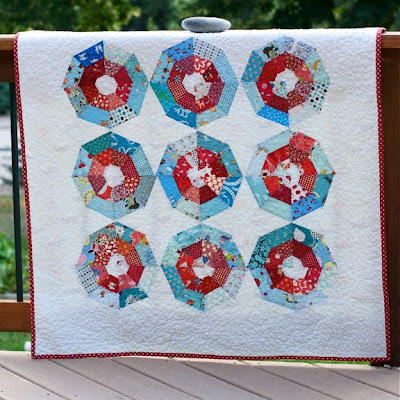 Oh, how I love a quilt with lots of white! You can't go wrong with any of those choics. Amber, are you coming home for Christmas this year? Hey Amber, I hear you, when the house is quiet all I think about is the purr of my sewing machine and what can I create next. I spent Sat at a 'Quilt til you Wilt' day from 10am until 1 am - it was a blast AND I completed 2 housecoats for my nephews but I can't exactly blog it yet as they will be Christmas presents AND my sister can't find out until then..
Well, scratch that itch and jump on it!! 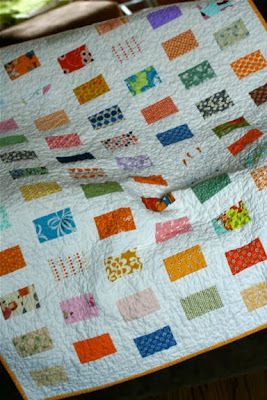 :) For not being a quilter, I sure get joy from seeing your lovely projects. have fun with whatever pattern you chose.